As with any movie, the filmmaking process is one that evolves and changes during the shoot, whether it be lines are swapped out, actors replaced, scenes deleted, or the noises of you eating bananas in the recording studio are completely cut. Okay, the last one only belongs to Sony’s latest half live-action/half animated hybrid, Peter Rabbit, but that doesn’t mean that all movies out there aren’t secretly cutting banana eating scenes. HelloGiggles sat down with Elizabeth Debicki ,who plays one of the rabbit triplets in the film Mopsy, and learned that originally the film had Peter Rabbit’s three bunny sisters eating a WHOLE lot more. Debicki also recorded with Ridley for a while in the studio, which meant that they were playing these scenes together — and eating bananas together. "There were earlier incarnations of the film where the rabbits ate a lot more, which meant that Daisy and I spent hours in the recording studio eating, and talking, and chewing into microphones. It was good! We had like 2,000 calories with of bananas in a day, just stuffing our faces." Those scenes were — spoiler alert — cut from the final film, but that doesn’t mean they’re not out there somewhere. “[Director] Will [Gluck] may have it as blackmail, and it’s probably going to pop up in eight years,” Debicki joked. 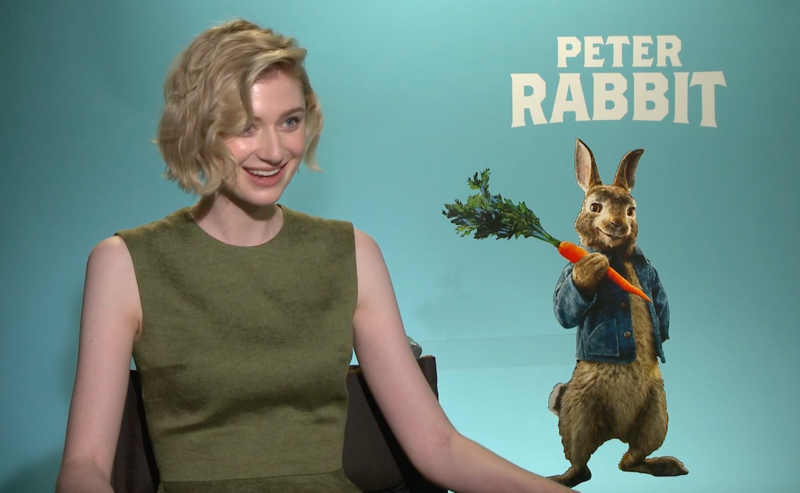 You can watch Debicki’s full interview to hear her wax nostalgic on reading Peter Rabbit as a kid, and Peter Rabbit the movie hits theaters on February 9th.